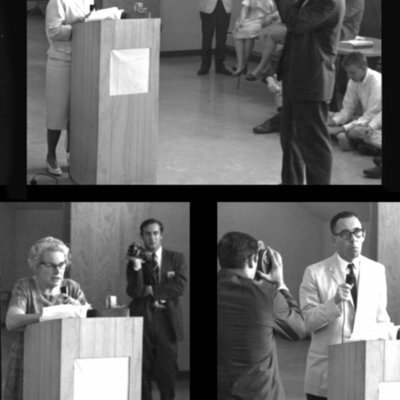 May 20, 1965, five full-time Ph.D, the core of the faculty [hold] a press conference to announce resignations in a dispute with Dr. Robert Reid, Director. Undersigned faculty to Rector and Board of Visitors, University of Virginia, May 9, 1965. The Gunston Ledger, Volume 1, Number 1 October 15, 1963.